Singer/Songwriters Dave and Trish met on the Dublin music scene in 1984 and performed under the band name ‘Interfusion’. They recorded the first song they wrote together ‘Vision of Glory’ as a single at Slane Studios which received airplay on various radio stations. In January 1985 they performed another original song ‘Running Out’ live on the RTE ‘Davis at Large’ show. After this appearance they were surprised to receive a phone call asking them to act as a couple of musicians in an episode of the RTE prison drama series ‘Inside’. Trish and Dave never got to see their acting debut because by the time the episode hit the Irish TV screens, ‘Interfusion’ had headed off on the ferry to England in their yellow van. From day one, they found it virtually impossible to find accommodation once the Irish accent was heard (11 refusals counted on one morning alone!) doors were literally closed in their faces due to the political tensions. This experience gave them a greater understanding of people who are rejected for whatever reason. However on the positive side Interfusion played to packed gigs with great feedback from the audiences proving the power of music as a uniting force. Due to the recession and other difficulties, after a couple of months they decided to return to Ireland. It was another two years during which they got married, before embarking on an even longer journey. While living in Ireland ‘Interfusion’ performed in many of Dublin’s venues such as Trinity College, The Baggot Inn, The Meeting Place, Slatterys, The Dame Tavern and The Parliament Inn along with a special appearance at a gala event for the United States Ambassador at the American Embassy in Dublin. Trish and Dave changed their band name to ‘Sahara’ as they prepared to leave for Australia. Since arriving in 1987 Sahara has performed in Festivals, Mardi Gras, Pubs, Clubs,Town Halls, Theatres and Performing Arts Centres along with countless live to air performances on radio and TV. Sahara had a memorable win on ‘New Faces’ not only winning their heat with one of the highest scores but also picking up the encouragement award for their original composition ‘Thinking of You’. Trish and Dave then recorded their debut album called ‘Thinking of You’ which they self released in 1990. They distributed this cassette album locally where it was greatly received and brought in more gigs and TV appearances. The GLV-8 Gippsland TV station filmed a video of ‘Thinking of You’ for their Wednesday Magazine show. With the release of Sahara’s debut CD ‘Vision’ the sound of Sahara spread further afield when it was selected as the ‘CD of the week’ on Radio Australia ‘Oz Sounds’ music show. Success followed this on the Internet when two tracks from ‘Vision’ - ‘Make My Day’ and ‘Ordinary Day’ were both voted No .1 on the Soundclick First Internet Charts. ‘Make My Day’ stayed in this position for four consecutive weeks resulting in an interview that was broadcast Australia wide on the ABC TV Evening News. Sahara performed on several occasions on the Ten Network’s ‘ Good Morning Australia’ as well as Channel Nine’s ‘ In Melbourne Today’. Sahara guested on the Seven Network Melbourne Royal Children’s Hospital ‘ Good Friday Appeal’. With the unexpected success of ‘Vision’ growing Trish and Dave decided to produce their first solo concert called the ‘Cyberstars in Concert’ which was a sell-out to a very enthusiastic audience. Sahara received an email from CelticTV in New York requesting a video for webcast. They decided to stage another concert in Melbourne this time at the Malthouse Theatre. Using their telemarketing skills from previous jobs Trish and Dave got on the phone and raised enough sponsorship money to cover the cost of filming ‘Sahara Live @ The Malthouse’. This video became popular on Celtic TV being requested on several occasions. The audio from the concert was the stereo live feed from the mixing desk to the camera, no second takes and no remixing in the studio afterwards. In the weeks following the concert it took a lot of persuading from varying sources to convince Trish and Dave to release this live mix on CD resulting in the unplanned Sahara ‘Live @ The Malthouse’ CD. Both ‘Vision’ and ‘ Sahara Live at the Malthouse’ made it into many play lists here and internationally and received great reviews with high ratings in major publications. Sahara was requested to compose an original soundtrack for the ABC TV Australian Story ‘A Track Winding Back’ which received the United Nations Media Peace Award. Trish and Dave knew that the only way forward was to bring their concert on tour. For the greater part of 2000 to 2007 they spent most of the year in their old car on the many long roads through the kaleidoscopic Australian landscape, enjoying the opportunity of meeting with locals after the shows and discussing everything under the sun!! It was so educational witnessing at first-hand the drought that had Australia in it’s grip at that time and it was members of the farming communities that alerted Trish and Dave to the true aspect of the ever encroaching threat of climate change. Sahara’s next CD ‘A New Beginning’ released in 2004 was written during this period. Sahara toured ‘A New Beginning’ which became extended over a couple of years due to demand. In 2012 Sahara decided to re-record this album and release it for sale over the Internet. 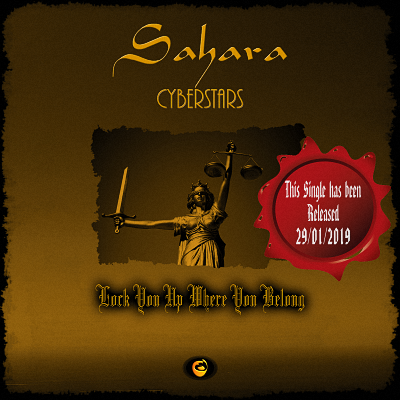 In the last few years Sahara has released two new studio albums ‘There is this place I go’ and ‘See all that’s before me’ along with their singles ‘Only This World’, ‘Hope in Everything’ and their latest single ‘Lock You Up Where You Belong’. 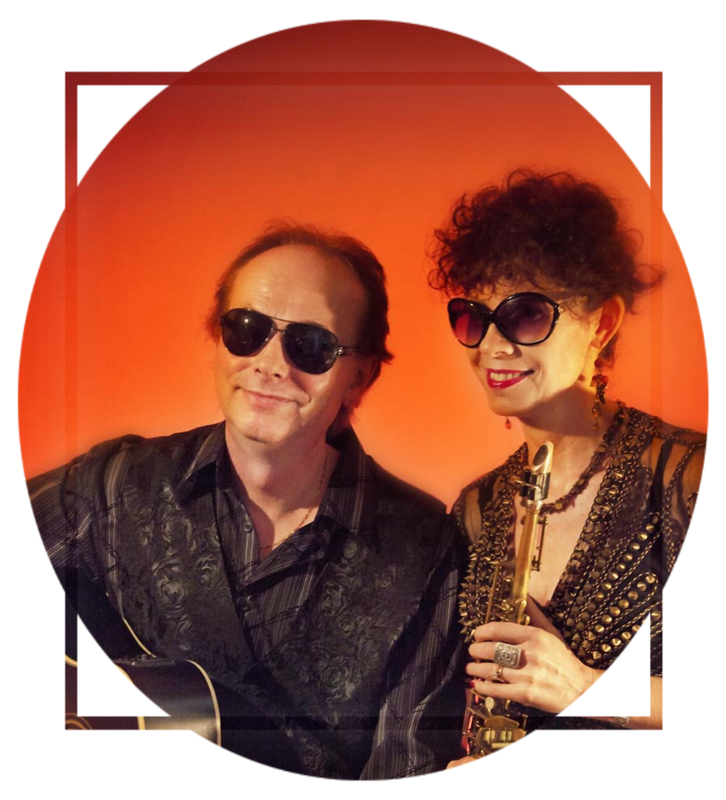 Trish and Dave have a few hundred compositions to their name and are still writing and recording.